Run! This astonishing artwork inspired by Star Wars: Return of the Jedi is a 24-inch tall x 18-inch wide unframed lithograph presenting artist Jeremy Saliba's Vengeful Pursuit. 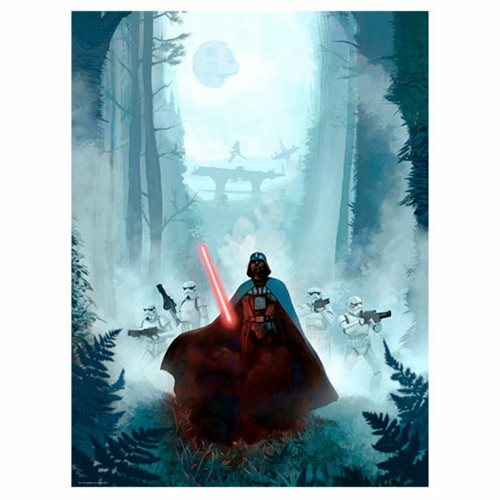 The Star Wars Vengeful Pursuit by Jeremy Saliba Lithograph Art Print is a limited edition of just 395 hand-numbered pieces, signed by the artist! A certificate of authenticity is included.